How many times have you found a website that says “Free Worksheets” only to realize several minutes later that most of the worksheets are only available to paid members? It happens more often than it should. All of the fun educational worksheets on our website are free! Yes, they really are free. It’s only 2019 so the amount of free printable worksheets on our website will only increase. We do hope that you share our Worksheets Worksheets website with others, like us on Facebook and follow us on Twitter so that we can justify making new educational worksheets that appeal to teachers, parents, and kids. 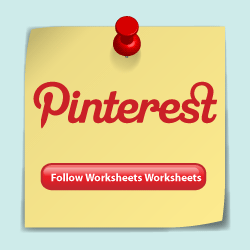 Over 50 Categories of Free Printable Worksheets to Choose From! This educational website has free worksheets for kindergarten, elementary school, and high school. The two main subjects covered are English and Math. We also have a number of free printable worksheets that will assist students with learning new subjects like Spanish and French. We made the website user friendly so that teachers and parents can quickly get the worksheets they need. On the left side of the website is our menu. This has a list of all the worksheet categories we currently have available. Select a category and then two free worksheets will appear. You can download and print them using the icons above the free worksheet. What Worksheets Do You Want? Thank you for visiting and using our worksheets. We will be adding new worksheets and would appreciate your input. Please let us know what type of worksheets you want to see more of. What worksheets worked best with the kids? Are there any categories that we missed? Your feedback will help shape the future version of the Worksheets Worksheets website.